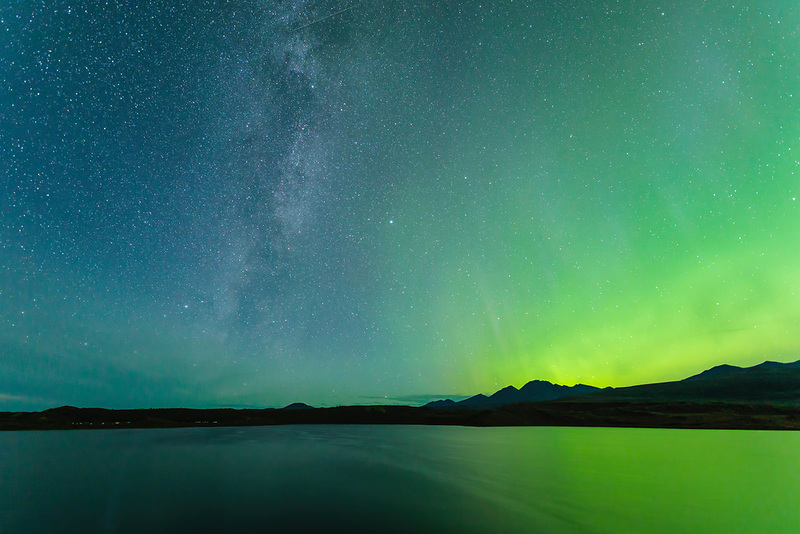 Milky Way and Aurora Borealis above the Alaska Range mountains at Round Tangle Lake along the Denali Highway in Interior Alaska. Autumn. Morning.